Researchers from the UCL Institute of Education and the University of Liverpool analysed information on more than 10,000 children born in 2000-01 who are taking part in the Millennium Cohort Study. This press release is based on the briefing, ‘Mental ill-health among children of the new century – trends across childhood, with a focus on age 14’ by Dr Praveetha Patalay and Professor Emla Fitzsimons. Update: the research paper, ‘Development and predictors of mental ill-health and wellbeing from childhood to adolescence’, by Dr Praveetha Patalay and Professor Emla Fitzsimons, was subsequently published in Social Psychiatry and Psychiatric Epidemiology in September 2018. 1. At ages 3, 5, 7, 11 and 14 parents reported on their children’s emotional problems, such as feelings of low mood and anxiety, and conduct problems, including behaviour difficulties such as acting out and disobedience. 2. 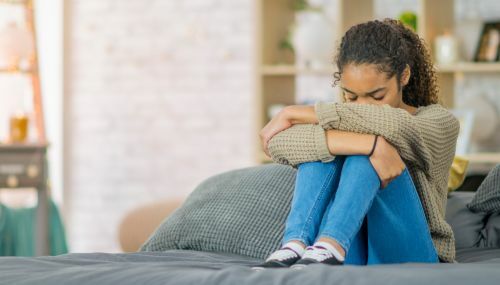 At age 14, young people answered 13 questions that assess the extent (not true, sometimes true, true) of difficulties in the previous two weeks such as feeling miserable, tired, lonely, crying and hating oneself. A score above an established threshold is indicative of suffering from depression. 3. The Millennium Cohort Study is following 19,517 young people born across the UK in 2000-01, building a uniquely detailed portrait of the children of the new century. The last survey of parents and children took place in 2015/16 with analysis of data on mental health being published for the first time today. 4. The study is funded by the Economic and Social Research Council and a consortium of government departments, and managed by the Centre for Longitudinal Studies at the UCL Institute of Education.